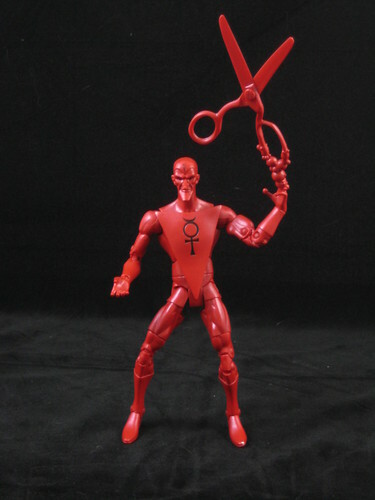 First off, many thanks to everyone who entered the third round of "Toy Lines! ", our new caption contest! I must say that as an innocent soul (no really....), I didn't see all of the potential interpretations of the photo I put together, so when you have a look at the entries, be aware they're not all family friendly. There were great entries in Round Three - we really do have some clever folk on the AFB Forum! 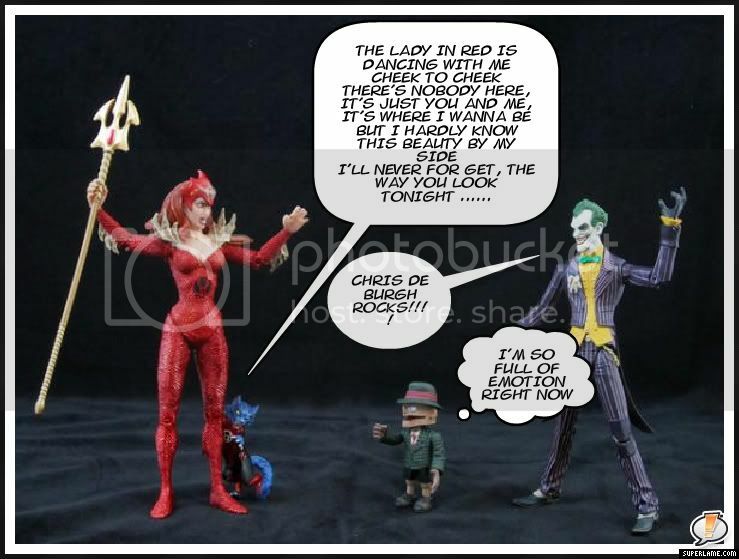 The task for Round Three was to add captions to a photo featuring DC Direct Red Lantern Mera and Dex-Starr and DC Direct Arkham Asylum Joker and Scarface, and once again our entrants rose the challenge! NiteOwl's Round Three Winner will face off against the winners from the other three rounds in a public vote here on the blog, with the winner receiving our prize, which is a Mattel Masters of the Universe Classics Eternian Palace Guards Two Pack, like the one reviewed here. The prize will be an unopened version still sealed in its white mailer box. Keep up the good work, and I look forward to the next great round! I'm confused. Can you still join the next contest even if you have already won?